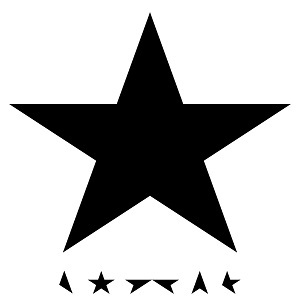 So, I already did a write-up for Blackstar as part of my best of 2016 list where it placed at #17. Now that I am over a year removed and have listened to this album again I’d say that I got it about right for me – although some albums (like Margo Price’s debut) will have shuffled around it. This still remains a powerful album because of the proximity to his death, especially the opening track which feels like the soundtrack to some sort of religious cult. For me the album does peter a bit out towards the end with closer ‘I Can’t Give Everything Away’ giving a bit of lift towards the end. As with a lot of albums that I listen to on for this list, Blackstar is not an album that was able to find it’s way into any sort of regular rotation (which mostly consists of K-Pop at the moment for some reason), but is played a few times a year. Every time I listen to it there appears to be something that I have missed or a new layer that gains a bit more clarity. Maybe in a few years time I will be in a position to re-appraise this. Maybe this will happen after I have listened to more of the David Bowie back catalogue. 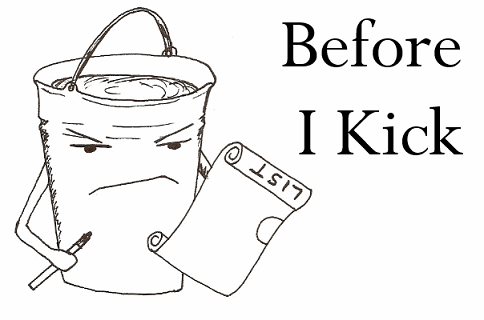 Until then, a few times a year works for me. For me, I don’t think there is any year that will be able to top 2015 when it comes to music. It was a year where the stars aligned and favourites like Bjork, Sufjan Stevens, Grimes, Joanna Newsom and Annie all released new music. Looking back on my ordering (and considering how much I listened to 2015 music this year) Miguel’s and Holly Herndon’s albums probably should have been higher. Still, that’s just how the cookie crumbles when you make an end of year list – albums continue to find a new life. This isn’t all to say that 2016 has been a musical car-wreck. The number or good/very good albums is very high. In fact I would say it was higher than last year, it’s just that I had to go on a voyage of musical discovery. Some albums that I really liked weren’t able to crack the top 20. So, like last year let’s see some albums that didn’t make my Top 20. Nothing too glaring in this group apart from Frank Ocean’s Blond. Still, I cannot believe how many albums I actually listened to this year. So without further ado let’s get started with the countdown. This is arguably the most left field album I have enjoyed for a long time. Native Canadian throat-singing isn’t what I would expect to have in my rotation, but Tanya Tagaq’s music seems to transcend a lot of barriers. The throat-singing is just how she decides to deliver her vocals. It’s no different to how some artists choose to rap, skat or beatbox. Once you can get over that, the throat-singing is evocative, beautiful and undeniably powerful. Where most sing of love of people this album is about love of nature and her own Native Canadian peoples. A love that is angry at how the rest of the world acts towards both her race and her world. The award for the most difficult listen of 2016 is not even a contest. How, as a parent, can you reconcile the death of your child. 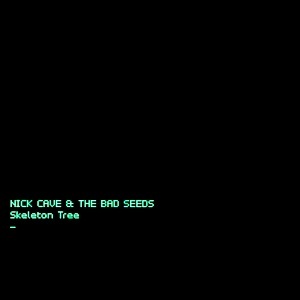 If you are Nick Cave, whose music regularly looks on the darker side of life, you pour your pain into an album. This is one of albums that is just so filled with pain and loss that I found it emotionally difficult to listen to. Those lack of plays are probably what is keeping it towards the bottom of this list. I have just not had the exposure let it rise any higher or find that many words to talk about it. Still, it’s one of those albums that just stays with you. I only found out this year that it is a known thing for white people to touch a black person’s hair without their permission. I know this has little to do with the album, but as if I needed more reasons to be disappointed in my race. Just want to put that out there. Seriously, what the hell white people! Anyway, back to the topic at hand. I can’t imagine it’s easy being a singer who is also Beyoncé’s sister. 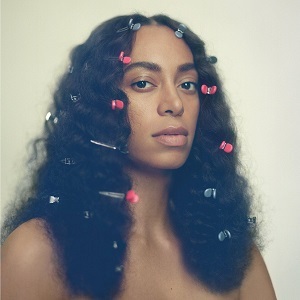 Solange has always been there plugging away in the background and has released some really good music. Yet, she was always in the shadow of her more famous sister. I think with ‘a Seat the table’ she has finally been able to emerge and be respected as an artist in her own right. Where Beyoncé tackled personal empowerment demons, Solange is looking outwards to her community. The only thing that let this album down were the spoken interludes. Never been a fan of those (although I have yet to find one to outdo some of Christina Aguilera’s from Bionic) and I think they disrupt the flow. I just want to get to ‘Cranes In The Sky’ as quickly as possible’. I guess I am bucking the trend by not having this in the upper echelons of my list. Then again this is my list of my favourite albums of the year and not necessarily what are the best. Also you cannot underestimate the power of this being the final album of a musical legend released just before he died. This is, by no means, an accessible mainstream album. It wouldn’t be fitting as his final release if it was. I can imagine the opening 10 minute track putting a lot of people off to be perfectly honest as it moves between the many parts. Listening to this knowing what we know now, it’s gives you pause at times knowing how aware he was of his own mortality when making this. Yet, he was able to translate all of that into an album that likely appear on best of lists for years to come. The Bride is very much an album of two halves, where if the second side was as strong as the first this would be far higher up the list. To be fair, this album would have made #20 on the power of ‘In God’s House’ alone. 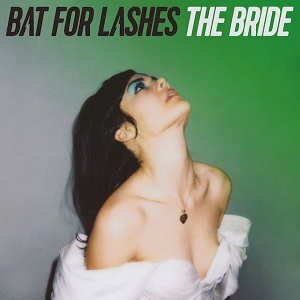 It is one of the best songs I have heard all year and epitomises why I will always listen to new Bat For Lashes albums. It just happens that the rest of the album’s first half are also of absurdly high quality. The thing is, the second half of the album actually needs to wind down. This, after all, is a concept album about a woman whose fiancé dies on her wedding day before they are to be married. The second half of the album is about her grief and her eventual realisation that she is going to be okay. It wouldn’t fit to have the big production numbers on that side as it wouldn’t fit her character of the bride. Listening to this at the end of 2016 actually makes it feel oddly prescient for how the rest of the year turned out. Austria’s election results have actually given us a positive end of the year. 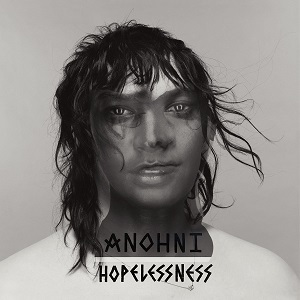 Still, it’s hard not to feel a sense of hopelessness and that exactly what Anohni is taking on. She is a unique voice in music right now, not only is she one of the few well known transgender singers, but her songs sing of fear of what we are becoming as a species. Just listen to the disappointment in ‘Obama’, the anger in ‘4 Degrees’ and shade throwing in ‘Marrow’. Do I need to mention the perspective of ‘Drone Bomb Me’? A song about the sole survivor of a family destroyed in a drone strike who just wants to die. Anohni never provides an easy listen, but she always feels essential. I found myself really missing new music from St Vincent this year. Her last two albums provided oddly beautiful bookends to my teaching career and rank amongst my favourite albums of all time. This year I have been able to stave off the cravings thanks to Mitski, the methadone to the heroin that is Annie Clark. That is not to say that Mitski is not St Vincent clone. She treads similar lines and even has a remarkably similar voice, but is decidedly heavier with more punky outbursts. You also don’t have the same amazing acts of guitar. How many people remember that Miranda Lambert was a runner-up on a country music reality TV show? She has a claim to the throne of the queen of country music and managed to get there completely on merit. 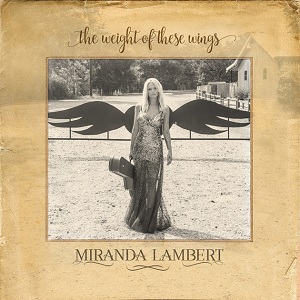 With the exception of her first album, Miranda Lambert put has never delivered anything worth less than 4/5 and she continues her winning streak with The Weight of These Wings – a double album dealing with the dissolution of her marriage to Blake Shelton. Unlike Shelton (whose album feels tacky in comparison), Lambert took her sweet time to create this album to put forward the side of the story she chose not to share with the press. A story of a cheated spouse who comes through it with power, dignity and grace. She didn’t need to pull a Carrie Underwood and wreck Shelton’s car; she just had to release this album, drop the mic and walk away with her middle finger in the air. 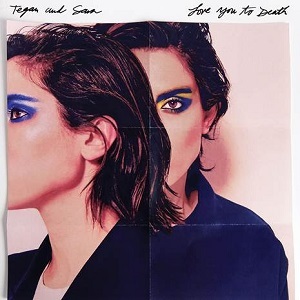 It’s rather unusual for Tegan & Sara to stay with one type of music too long. I guess they have been enjoying their time in the electro-pop world and feel they have more they can mine from it and producer Paul Epworth. Not complaining here. I thought Heartthrob was an excellent (and better) album and the extra fans that it brought to their door can only be a good thing. They’re particular brand of pop, where they were able to have a hit pop song about being the secret love of a bisexual partner, means they have been helping with the increased positive visibility of LGBT musicians. Especially that first letter, which still feels woefully under represented in the pop world. It would be nice for them to one day return to the worlds of The Con and So Jealous, but if this is the path they choose to walk… so be it. I had never got the appeal of Beyoncé until Lemonade. Sure I liked the odd single, but I never found myself to get through a complete album without feeling a bit bored. Because of these past experiences, the weird fan reactions from Kanye West and because of some internet comments I saw that that said that white people shouldn’t be listening to this (which bristled me no end) I put off listening this album for months. Eventually I capitulated and I fell in love. 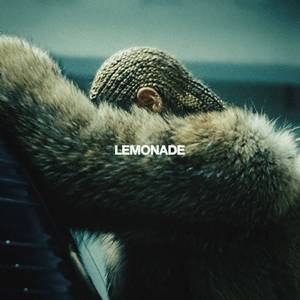 Dangerously In Love, I am… Sasha Fierce and Beyoncé were all unable to reach me, but Lemonade did. Maybe it’s because she is becoming this vanguard of black women and this message of empowerment (whilst still allowing vulnerability) plays a more central role in this album. This album feels like she no longer has anything to prove and no longer needs to gain more fans. It’s the first time I have listened to her and felt she was being totally open and honest. You know what, I don’t care why. Lemonade is just a fantastic album. The countdown will conclude tomorrow with #10-#1, which will also contain a Spotify Playlist of all the top tracks mentioned in these posts. If you have any predictions or thoughts on the countdown please comment below.